While there is no public car parking at SEA LIFE Melbourne, there are several public car parking facilities available only a short walk away. We have now partnered with Wilson Parking to bring you discounted parking at their 474 Flinders Street car park, right across the road! You can now take full advantage of $20 flat-rate parking Monday to Friday, or $9 flat-rate parking on Saturday and Sunday. Just take a parking ticket on entry to the car park and head over to the front desk to have it validated to redeem this great offer. 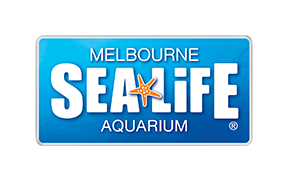 SEA LIFE Melbourne is a five minute walk from either Flinders or Southern Cross train stations. The City Circle Tram is a FREE service, running every 10 minutes in both directions.